northtexasrealestateattorney | R. Scott Alagood a Denton County Real Estate Attorney Board Certified in Both Residential and Commercial Real Estate Law, Texas Super Lawyer 2018, 2017, 2016, 2015, 2014, 2013, 2012, 2004, and 2003. It should be noted that Texas history is filled with citizens from other states and countries moving to Texas to escape debt and not so friendly debt collection laws, including in some instances, debtor’s prison. For example, William B. Travis avoided arrest in Alabama for unpaid debts by moving to Texas. As a result, the early Texans were not so fond of government interference in their private matters, including debt-collection. That legacy still exists in Texas today. Obtaining a judgment against a citizen of Texas may be one thing. But collecting it is certainly another. Chapters 41 and 42 of the Texas Property Code set forth certain property classifications which are “exempt” from execution by a judgment creditor. Execution is the process of forcefully taking the property of a debtor, selling it, and paying the proceeds to a judgment creditor. If the property is exempt, it may not be taken to satisfy a judgment debt. Chapter 41 of the Texas Property Code deals with exempt real property. Real property includes any permanent improvements and fixtures located on land. Except for certain permitted types of liens and removables, a “homestead” and one or more lots used for a place of burial are exempt from seizure for the claims of a judgment creditor. In order to qualify as a homestead, the real property (and improvements) must be categorized as either “urban” or “rural”. If a property is “urban”, then the homestead exemption is limited to 10 acres. If a property is “rural”, then for a single adult person the homestead exemption is limited to 100 acres, and for a family the exemption is limited to 200 acres. A property is considered “rural” if it is not “urban”. A property is considered “urban” if the property is located within the limits of a municipality or the extraterritorial jurisdiction of a municipality or a platted subdivision; and is served by policy protection, paid or volunteer fire protection, and at least 3 of the following services provided by a municipality or under contract to a municipality: (a) electric, (b) natural gas, (c) sewer, (d) storm sewer, and (e) water. The proceeds from the sale of a homestead continue to be exempt for a period of 6 months following the date of sale. Chapter 42 of the Texas Property Code addresses exempt personal property. Personal property includes moveable property which is not real property. Certain amounts and types of personal property are exempt from garnishment, attachment, execution, or other seizure. The amount is limited to $100,000.00 of the combined fair market value of the personal property of a family. For a single adult, the exemption amount is limited to $50,000.00. Unpaid commission for personal services not exceeding 25% of the limitations set forth above are also exempt from seizure. professionally prescribed health aids of a debtor or a dependent of a debtor. bible or other religious book containing sacred writings (excludes a landlord exercising a contractual or statutory right to seize property after a tenant’s breach of a lease or abandonment of the leased premises). Additionally, certain savings and retirement plans and college savings plans are also exempted from seizure. There are two types of protests normally available to a homestead exempted property owner: (1) determination of the appraised value of the property; and (2) unequa l appraisal of the owner’s property. The first protest type is what is says it is, that the property owner simply disagrees with the value of the property provided in the notice of appraised value. The second type deals with taking a reasonable number of comparable properties within the taxing district, appropriately adjusted based on the factors above, and showing that the appraised value of the subject property in the notice of appraised value is above the median of those property values. Disparities in the timing of the reappraisal of properties within the district may lend certain properties to be at lower values. Due to advancements in technology and the growing need for governmental funding, larger taxing districts have significantly cut down on this time lag. The property owner will be notified of the hearing time, date, and place at least 15 days prior to the date of the hearing. The chief appraiser is required to provide notice of the rights of the taxpayer, notice of the right to inspect and copy the district’s evidence, and a copy of the hearing procedures. The property owner may appear at the hearing in person, through an agent, or by affidavit. If the property owner fails to appear in some form, they will be precluded from appealing the appraisal review board’s decision. The hearing procedures are very informal. All parties are allowed to offer evidence, examine and cross examine witnesses, and present argument to the board. The property owner is permitted to testify to the value of their property, and may offer an opinion of market value or the inequality of the appraisal by the district. So long as all of the administrative procedures have been followed to completion, a property owner may further appeal the appraisal review board’s decision to a district court or may elect to engage in non-binding arbitration. Under either avenue, the property owner is required to pay the taxes determined to be due before their delinquency as a precondition of further review. The taxpayer’s petition for review must be filed with the district court within 60 days of the receipt of the appraisal review board’s notice of determination of protest. The review by the district court or arbitrator will be “de novo” or new, so neither the taxing authority nor the property owner is bound by the prior rendition of value. Thus, it is possible for the appraisal district to seek a higher value than it sought in the protest hearing or that set by the appraiser. A taxpayer may pursue non-binding arbitration by moving the district court to refer the case. However, if the taxpayer wants to engage in non-binding arbitration, the appraisal district must give its consent. A taxpayer who prevails in a judicial review proceeding may be awarded reasonable attorney’s fees. Those fees may not exceed the greater of $15,000.00 or 20% of the total amount by which the property owner’s tax liability is reduced by the appeal. Further, the fees may not exceed $100,000.00 or the total amount by which the property owner’s tax liability is reduced by the appeal, whichever is less. These fee caps prevent property owners from receiving reimbursement for attorney’s fees where the reduction being sought is only a relatively small amount. The award of fees is, however, mandatory when the taxpayer prevails on a judicial review. R. Scott Alagood is board certified in residential and commercial real estate law by the Texas Board of Specialization and can be reached at alagood@dentonlaw.com or http://www.dentonlaw.com. The State of Texas’ power to tax does not come from the U.S. or Texas Constitution. It is an inherent power associated with the sovereignty of the state. On the other hand, the taxing power of Texas counties, cities, and school districts is solely derived from the Texas Constitution, statutes, and municipal charters. The Texas Tax Code grants these subdivisions of the state the authority to tax all real property located within the state. Real property includes land, improvements, mines, quarries, minerals in place, and standing timber. Only real property located within the jurisdiction of a particular taxing unit as of January 1 is taxable by that unit for that tax year. The tax on real property is primarily based upon the market value of the property as of January 1 of a particular tax year. Market value is determined by using generally accepted appraisal methods and techniques which are supposed to be consistent in appraising the same or similar kinds of property. Each property must be appraised in light of the specific individual characteristics that affect market value, and appraisal process must consider all available evidence in determining a property’s market value. Typically, sales of nearby residential property will be used to determine comparable property values in the appraisal process using the market data method. These sales, which may even include certain foreclosure sales and properties located in a declining market, must have occurred within 24 months, and should have similar locations, square footages, ages, conditions, access, amenities, views, occupancy, easements, deed restrictions, and other benefits and burdens which may affect marketability. In counties with a population of at least 150,000, sales must have occurred within 36 months and be adjusted to account for changed market conditions. In most situations, the chief appraiser of the taxing district is required to send each property owner a notice of appraised value for homestead exempted property on or before April 1, and for other properties on or before May 1. This notice must accompany a copy of a notice of protest form and instructions on completing and mailing the form to the appraisal review board to request a hearing. If the taxing district fails to provide any required notice to the taxpayer, the taxpayer’s due process rights are violated, and any appraisal or tax assessed on the property is void. It should be noted that “failing to provide notice” doesn’t mean mailing the notice to the wrong address because the taxpayer failed to notify the taxing district of an address change. Failing to provide notice means that no notice was ever sent anywhere. It is the taxpayer’s duty to keep the appraisal district supplied with a current address. If a property owner disagrees with a notice of appraised value, they are normally entitled to file a protest with the appraisal review board. The protest must be in writing and timely filed. Generally, the protest must be filed not later than the 30th day after the notice of appraised value was delivered to the property owner. For a homestead exempted property, the notice of protest must be filed before May 1 or not later than the 30th day after the notice of appraised value was delivered, whichever is later. Failing to comply with the administrative protest procedures will result in the preclusion of any further appeal of the appraisal review board’s ruling. Appraisal districts in counties with a population of 500,000 or more must allow a property owner with a homestead exemption to file a notice of protest electronically. Scott Alagood is board certified in residential and commercial real estate law by the Texas Board of Specialization and can be reached at alagood@dentonlaw.com or www.dentonlaw.com. Many individuals form business organizations for various reasons. Some of the most common reasons are to address tax matters, limit liability, provide a specific or perpetual duration, and address ownership transferability issues. The Texas Business Organizations Code (“TBOC”) authorizes individuals to form three general type of entities: partnerships, corporations, and limited liability companies (“LLC”). While there are other forms of entities which may be used for particular professions or other specific uses (such asnon-profit or limited liability entities), these three forms comprise t he most commonly used entities. The partnership form is further divided between general partnerships and limited partnerships. Why is it important to address transferability issues in a business organization? For one, the success of a business, particularly a small business, typically hinges upon the abilities of the owners who are usually also the managers. It is important that each owner know with whom he or she is conducting business. Furthermore, the owners at some point may wish to sell their interests in the entity. Since there is no ready market for investors of small businesses interests, transfer restrictions in the form of buy-sell agreements can be used to create a market and set a reasonable price. In other instances, transfer restrictions can assist with compliance of state and federal laws. Certain corporations may be exempt from securities registration under federal and state law where transfer restrictions are used. In most instances, the owners of a business organization may set up their own transfer rules in a written agreement. For corporations, those rules may be set forth in the Bylaws, but are typically found in a separate document referred to as a shareholder agreement. For partnerships, transfer restrictions are set forth in a partnership agreement. For LLCs, the company agreement contains the transfer restrictions. If the owners fail to provide their own transfer rules, the TBOC will regulate such transactions. Leaving aside the corporate form, the rules set forth in the TBOC for partnerships and LLCs are similar. Before becoming an assignee partner or member, consent of all of the partners or members must first be obtained. In those instances where consent has not been obtained, a transfer of an ownership interest will not result in the assignee achieving partner or member status. However, the mere assignment without consent (absent an express written agreement to the contrary) will not void the transfer of the interest to the assignee. Unless restricted or prohibited by the partnership or company agreement (or other document), a partner or member may freely assign his or her interest to another party. The preceding rule also applies to the transfer of corporate shares. However, without the consent of all owners, the assignee will not be entitled to exercise the rights or powers of a partner or member in the entity. Nor will the assignee become liable as a partner or member solely because of the transfer. Instead, the assignee is entitled to be allocated any income, gain, loss, deduction, credit, or similar items, and to receive distributions to which the assignor was entitled, to the extent such are part of the assigned interest. For corporations, the owner’s (or shareholder’s) interests in the company are generally freely assignable unless otherwise agreed to in writing between the owners or disallowed under the TBOC. For small business corporations, the implementation of a shareholder’s agreement is of particular importance. The shareholder’s agreement allows the owners to predetermine the manner in which their relationship will operate and is akin to a partnership or company agreement. Without a shareholder’s agreement, minority shareholders may have little or no recourse to control how disputes are resolved. They may be unable to remove themselves from the corporate ownership structure without a significant financial loss. Majority shareholders may try to squeeze or freeze out the minority shareholders and force them to sell their interests for less than they are worth. Shareholder agreements will usually contain one or two types of transfer restrictions: mandatory buy-sell and first option buy-sell agreements. A mandatory buy-sell is triggered by a specified event, such as the death, disability or divorce of a shareholder. When the event occurs, either the corporation or the other shareholders are required to purchase the shareholder’s interest pursuant to specified pricing and payment terms contained in the agreement. A first option buy-sell reserves the right of all shareholders or the corporation to purchase shares in preference to third-parties. As opposed to the mandatory buy-sell, the first-option buy-sell does not require that the other shareholders or corporation purchase the selling shareholder’s interest, but instead allows them to do so if they so choose. If the option is not fully exercised, then the shareholder is allowed to consummate a sale to a third-party. Restrictions on transfer are important aspects of doing business as a Texas business organization. Failure to obtain and use them can result in unintended consequences to the business and its owners. Scott Alagood is board certified by the Texas Board of Legal Specialization in Commercial and Residential real estate law. He can be reached at alagood@dentonlaw.com or http://www.dentonlaw.com. Employers trying to find alternatives to the traditional 9-to-5, 40 hour work week may want to consider a fluctuating work week schedule. A fluctuating work week schedule may lessen the financial burdens of personnel who are not exempt from overtime pay requirements. It may also increase productivity and enhance work/life balance, while meeting the operational needs of the office. Administrative personnel and office workers are generally non-exempt employees, as defined by the Fair Labor Standards Act (“FLSA”), earning overtime at one and one-half times their regular rate of pay. The FLSA sets the standard work week at 40 hours. Employers are required to pay non-exempt employees no less than 1.5 times their regular rate of pay for hours worked in excess of 40 hours. However, there is an exception allowed to employers properly utilizing a fluctuating work week as an alternative method of satisfying the FLSA’s overtime pay requirement. 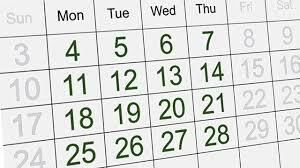 To take advantage of the fluctuating work week exception, specific conditions must be met. An employee employed on a salary basis may have hours of work which may change from week to week and the salary may be paid pursuant to an understanding with the employer that the employee will receive a fixed amount as straight time pay based upon the hours called upon to work in a particular work week. Importantly, this arrangement must be previously agreed to by the employee. It cannot be claimed after the fact. It should be in writing and included in a written employee manual or policy. The amount of the salary must be sufficient to provide compensation to the employee at a rate not less than the applicable minimum wage rate for every hour worked in those work weeks in which the number of hours worked is the greatest. For overtime hours, the employee should receive additional compensation beyond the fixed salary at a rate not less than 1.5 times the regular rate of pay. Currently, minimum wage is set at $7.25 an hour. For example, an office worker has a fixed weekly salary of $500.00 and works 55 hours in a single workweek. Under the fluctuating work week exception, the employer must divide the $500.00 fixed salary by the 55 hours worked to determine the regular hourly rate of pay for that work week, or $9.09 an hour. In this example, the office worker actually earned $9.09 an hour straight time rate for all the hours including the hours worked in excess of forty (40) hours. To comply with the fluctuating work week exception, the employer must also pay the employee the .50 time rate for all hours worked in excess of 40. In this example, the amount of overtime hours worked is 15. Note that the overtime rate is a “time and a half rate” and the employee in this example has already received the “time rate” and is now due the “half rate” for the overtime hours worked in excess of 40. So, the employer divides the $9.09 rate in half ($4.55 an hour) and then multiplies the half rate by the 15 overtime hours worked, or $68.25 ($4.55 an hour x 15 hours = $68.25). The employer then pays the employee an additional $68.25 gross wage for the 15 hours overtime worked in the work week for a total gross wage of $568.25. It is important to always remember that that the regular rate of pay calculation can go all the way down to the minimum wage ($7.25), but no lower. Also, the additional half-time pay cannot be included as part of the fixed salary and must be paid for all hours in excess of 40 that are worked in any week. Continuing with the example of a fixed salary of $500.00 a week, in order to qualify for the fluctuating work week exception, the most the employee can work in any particular week is 68 hours ($500.00 divided by $7.25 an hour = 68.96 hours). Care must be taken not to set the fixed salary and/or the number of hours which can be worked in a particular week to produce a regular rate below the federal minimum wage. Proper use of the fluctuating work week exception may be a good way to provide a benefit to employees and reduce an employer’s risk of extensive overtime pay. Care has to be taken that all provisions of the fluctuating work week exception are followed and include written policies which evidence a clear understanding between the employer and employee that this method of compensation is being used. Finally, never allow the fixed pay rate and/or the weekly hours worked reduce the employee’s regular pay rate below the federal minimum wage. Scott Alagood is board certified in Residential and Commercial Real Estate Law by the Texas Board of Legal Specialization and can be reached at alagood@dentonlaw.com and www.dentonlaw.com. In 1987, Texas passed the Alternative Dispute Resolution Act which is now found in Chapter 154 of the Texas Civil Practices and Remedies Code. This Act introduced formal mediation to the State of Texas. Since that date, mediation has been used to resolve countless disputes between citizens, businesses, and governmental subdivisions of the State of Texas. What is mediation? Mediation is a forum and process in which an impartial person, called the mediator, encourages and assists parties to a dispute to reach a settlement or resolution of that dispute between themselves. The mediation may be ordered by the court or through voluntarily participation by the parties to the dispute. Where the parties have retained attorneys to assist with the dispute, the attorneys participate in the mediation with their respective clients. The mediation process in Texas is strictly confidential. Unless the parties agree, the statements of the parties, their conduct, demeanor, and their legal and factual positions may not be disclosed to anyone by the mediator. This rule encourages the parties to be entirely forthcoming with the mediator during the course of the mediation. The mediator is not there to impose a decision on the parties. Even if the mediator is a licensed attorney, the mediator should not provide the parties with any legal advice or make ultimate judgments on the potential outcome of the dispute if it were to go to trial or arbitration. Mediations are usually held in private and without any public fanfare. Most court cases are public record, and typically hearings or trials will be open to the public. Mediation allows the parties to settle their disputes quietly. Mediation allows the parties, instead of a judge, jury or arbitrator, to reach a resolution of their dispute on terms that are acceptable to them. Note the term, “acceptable”, as many mediations actually result in outcomes in which one or more of the parties reach settlement terms that are not necessarily a “win”, or what they would want if the case had to be litigated. Mediation involves the parties negotiating to reach an acceptable outcome rather than fighting one another in an expensive and time-consuming forum to potentially achieve a win-lose or sometimes lose-lose outcome. The mediator tries to use specific methods and techniques to assist the parties in reaching a settlement. For example in resolving a business dispute, it may seem necessary for one partner to end up with the business while the other ends up with the monetary value of his interest in the partnership. Looking at the dispute in that fashion is an example of an evaluative method of resolving disputes. “Horse-trading” is another example of an evaluative method of resolving disputes, and focuses on reaching an outcome in the most direct manner. Much of the time this technique works well to resolve simple disputes where the sum of the whole is equal to its parts, and those parts must be divided up to settle the case. However, if the mediator delves deeper into the backgrounds of the parties, the origin of the disputes, and the motivations of each party to become involved in the dispute, many times it becomes clear that the mediator has more to deal with than simply dividing up ownership and money. A facilitative method can be best described as an attempt to find a resolution which has mutual benefits for all parties. Under the facilitative method the mediator looks for subtle undertones of the dispute. Those subtleties usually require the mediator to delve into areas that on the surface may not seem to have any direct relevance to the dispute. In our example, the mediator may find out that one of the partners is a really good business person, while the other may be really good with the manufacturing of the good or the generation of the service which makes up the business. The mediator may find out that the two partners were once best friends, who but for the dispute (which may or may not have anything to do with the business), no longer can operate all parts of the business together. Under the facilitative approach, the mediator will attempt to repair the relationship, and try to find a resolution which may allow the parties to stop fighting each other and go back to work in their respective areas of strength for the benefit of the business and themselves as its owners. Clearly, these are extremely simple examples. 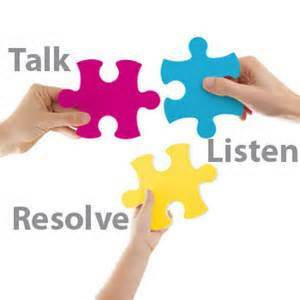 But a good mediator will always look at several methods and techniques of dispute resolution in order to determine which methods or combinations will achieve a positive result. Since its inception, mediation has been a positive process for litigants in Texas. It has helped reduce the case load of our courts and saved millions of dollars for the participants involved. Just about any type of dispute can be mediated. From disputes between countries, NFL quarterbacks and commissioners, divorces, collection suits, and just about any other type of disagreement, mediation can be a tool to save money, time, and public scrutiny. Scott Alagood is board certified by the Texas Board of Legal Specialization in Commercial and Residential Real Estate Law. Scott may be reached at alagood@dentonlaw.com or www.dentonlaw.com. Unfortunately, many homeowners have experienced the effects of hailstorms on the roof of their homes. For many an unsuspecting owner, a nice man will show up at their door touting his company’s ability to quickly repair the roof for the insurance proceeds and promising to cover the owner’s deductible. Such an arrangement clearly is beneficial to the owner, in particular where the owner’s insurance carries a high deductible. The roofer is more than happy to procure the work by increasing the price of the work in excess of the normal charges to cover the deductible. By entering into and performing such agreement, the owner and roofer may very well be committing a crime under Texas Law. Under Section 27.02 of the Texas Business and Commerce Code, the roofer claims an offense where (1) it sells goods or services and advertises or promises to provide the good or service by paying all or part of any applicable insurance deductible or gives the other party a rebate of the applicable insurance deductible; (2) the good or service is paid for by the owner from proceeds of an insurance policy; and (3) the roofer knowingly charges in excess of the usual and customary charges by an amount equal to or greater than all or part of the deductible or relates the deductible to the owner. Such conduct is a Class A Misdemeanor in Texas punishable by a fine up to $4,000.00 and/or a jail term of up to one year. The owner commits a Class A misdemeanor by simply submitting a claim under an insurance policy where the roofer is in violation of Section 27.02 or knowingly allows such a claim to be submitted, unless the owner promptly notifies the insurer of the excessive charges. Such an arrangement can also support a felony under Texas law. Pursuant to Section 35.02 of the Texas Penal Code, the roofer or the owner commits an offense where either of them prepares and presents, or causes such to be presented, to the insurer a statement to support an insurance claim that the person knows to contain false or materially misleading information with the intent to defraud the insurer. Additionally, Section 35.02 of the Penal Code provides that the roofer or the owner commits an offense where either of them solicited, offers, pays or receives a benefit associated with the furnishing of goods or services where an insurance claim has been made with the intent to fraud the insurer. The value of the claim may be calculated by subtracting the amount of the valid portion of the claim from the total claim made. A rebuttable presumption exists that the owner or roofer caused the fraudulent claim to be prepared or submitted by simply submitting a fraudulent bill for payment of goods or services to the insurance carrier. Class C misdemeanors carry the punishment of a fine not to exceed $500.00. Class B misdemeanors carry the punishments of a fine not to exceed $2,000.00, or a jail term of up to 180 days, or both. Class A misdemeanor punishments are discussed above. A state jail felony carries the punishment of confinement in a state jail for a minimum term of 180 days up to 2 years. A third degree felony provides for confinement with the Texas Department of Criminal Justice (TDC) for a term from 2 to 10 years. A second degree felony imposes imprisonment with the TDC for a term from 2 to 20 years. A first degree felony provides for a maximum confinement term of 5 to 99 years. Each of those felonies may also carry fines of up to $10,000.00 assessed in addition to imprisonment. When confronted with a “too good to be true” situation, care should be taken not to turn an unfortunate casualty event into conduct that may cost additional money or personal loss of freedom. R. Scott Alagood is board certified in Commercial and Residential Real Estate Law by the Texas Board of Specialization and can be reached at alagood@dentonlaw.com or http://www.dentonlaw.com.